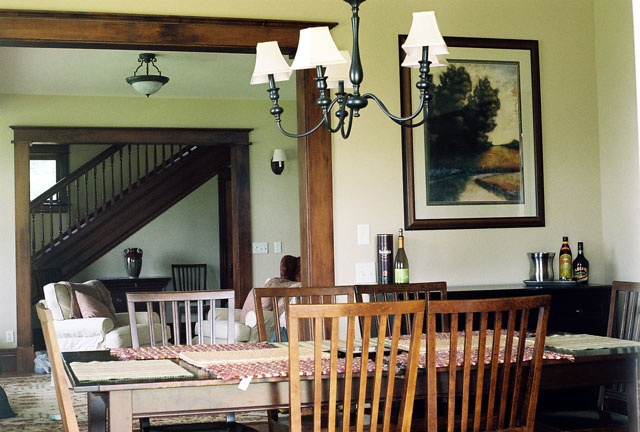 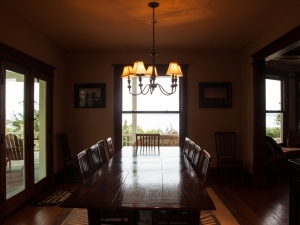 Our dining room has a large table that can accommodate your entire family. 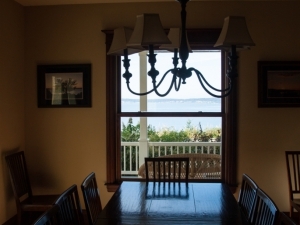 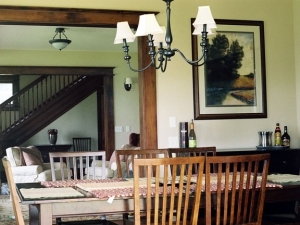 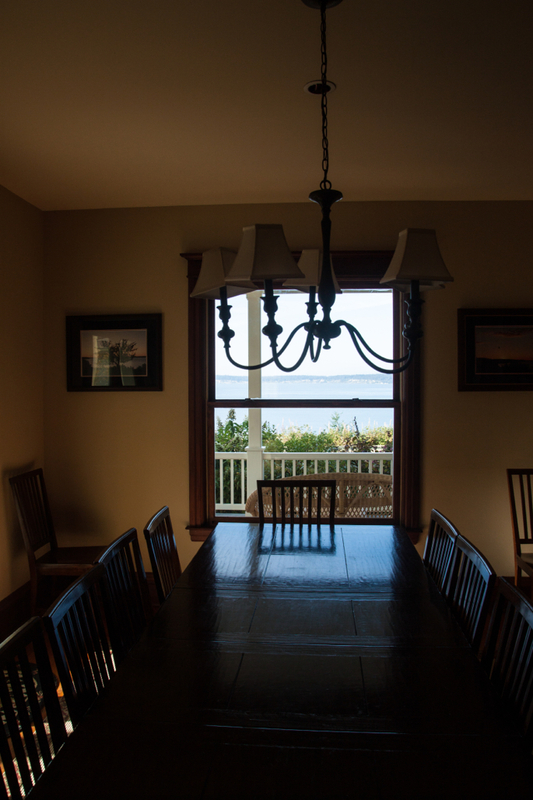 Conveniently located adjacent to the kitchen, this room also has a view of the grounds and the Saratoga Passage. 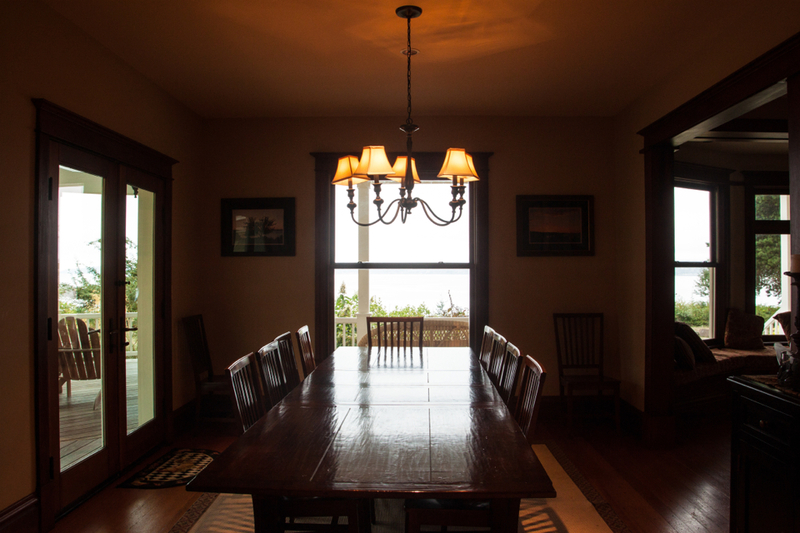 During the annual Gray whale migrations, you can often see the whales frolicking in the water while eating in this room.